Celebrate Marvel’s 80th Anniversary with Covers by Phil Noto! New York, NY—December 13, 2018— In celebration of Marvel’s 80th Anniversary, Marvel is excited to kick off 2019 with a series of special variant covers, designed by acclaimed superstar artist Phil Noto! 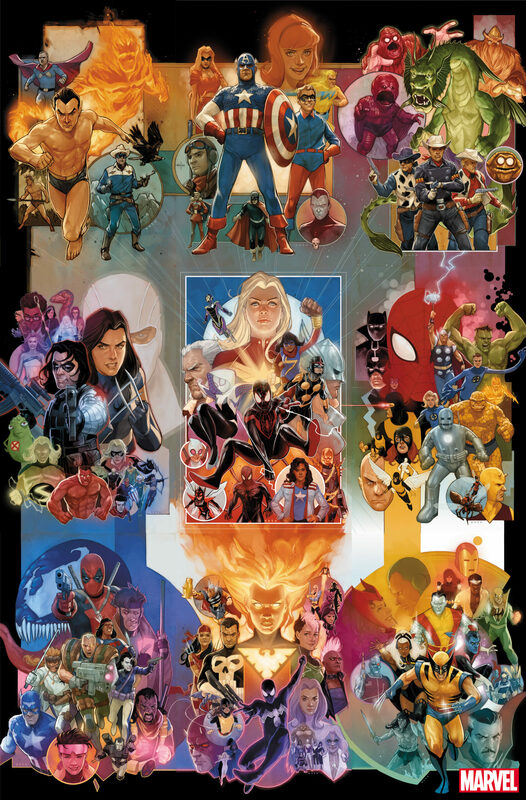 Highlighting some of Marvel’s most beloved super heroes, each cover represents a different decade in Marvel’s storied and momentous history – and Marvel is proud to present all 9 covers coming together to create one visually stunning image!